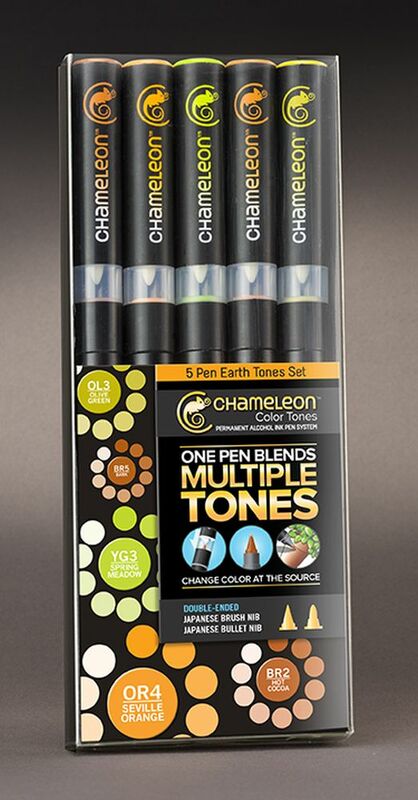 The 5-Pen packs are a great way to get into the Chameleon Color Tones range. 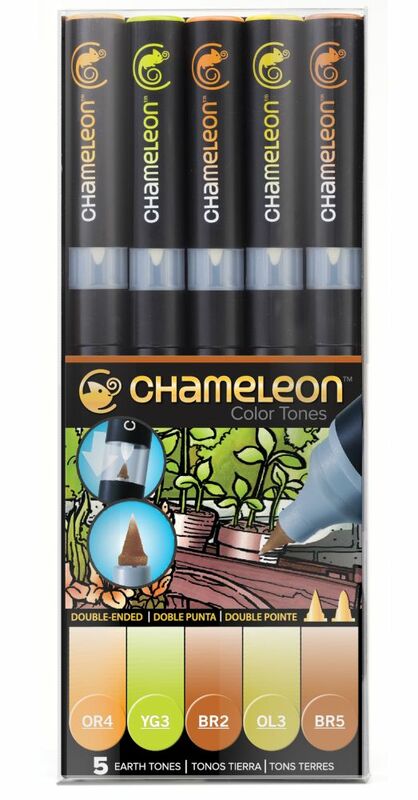 The 5 vibrant colors produce over 25 color tones giving you the ability to create stunning effects such as 3D, smooth transitions, highlighting, shading, gradations and blending, all with one pen. 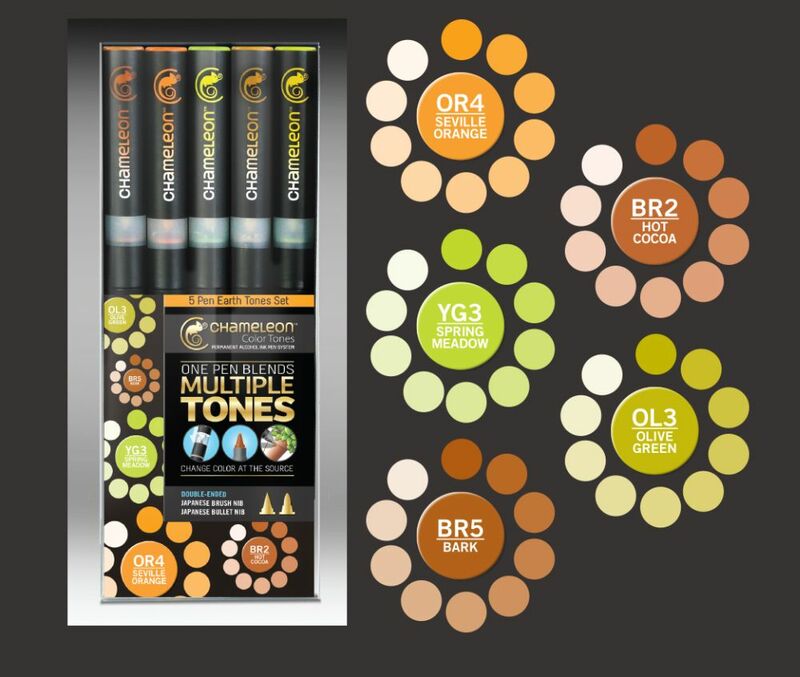 Each pen goes from as light as a hint of a tint to rich tones, eliminating tonal gaps in your collection. 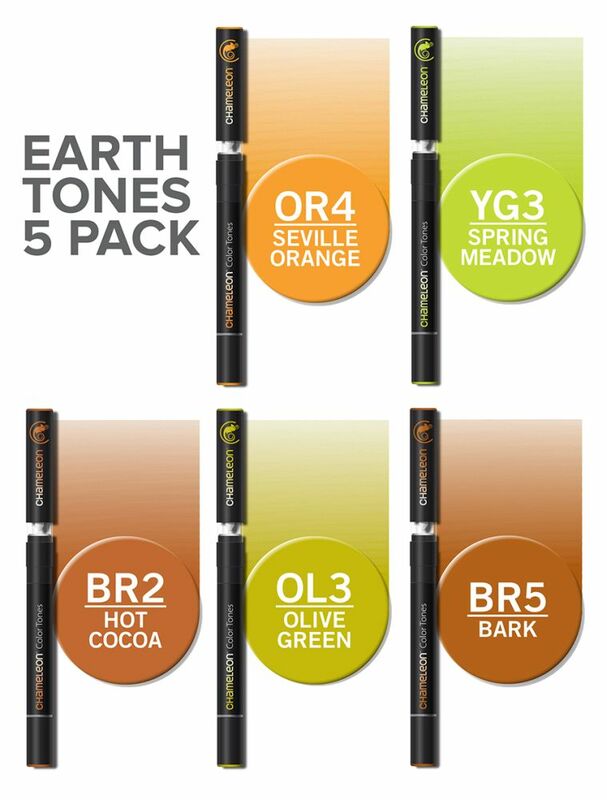 - Spring Medow YG3 , Bark BR5, Seville Orange OR4, Hot Cocoa BR2, Olive Green OL3. 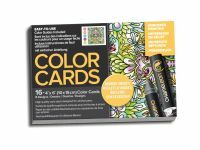 - Instruction and idea guide. 119 points will be rewarded to you when you buy this item.